WikiLeaks staff are unable to access or post from the organization’s primary Twitter account or other accounts used by its staff and legal team, according to WikiLeaks editor-in-chief Kristinn Hrafnsson. “These accounts are locked @wikileaks @assangedefence @wltaskforce @assangelegal and cannot be accessed,” Hrafnsson recently tweeted. “To clarify, these accounts cannot be accessed and new tweets posted,” Hrafnsson added. These accounts are locked @wikileaks @assangedefence @wltaskforce @assangelegal and cannot be accessed. They also seem to have been shadow banned. Should we be worried in these critical times? 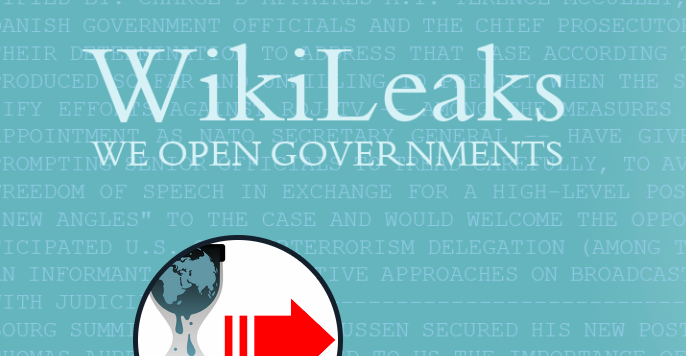 The primary WikiLeaks Twitter account has 5.4 million followers and for years has been the primary means by which the organization has made public announcements, going so far as to say it is the only account authorized to make statements on behalf of WikiLeaks. The Assange Defence account, which is run by the legal campaign to free its founder Julian Assange from arbitrary detention and persecution, has 747,000 followers. The WikiLeaks Task Force account, which has been used to correct disinformation and combat corporate media smears about WikiLeaks, has 142,000 followers. The @AssangeLegal account, the account of justice4assange editor Hanna Jonasson, has 12,000 followers. All four of these accounts have per Hrafnsson been locked to prevent the use of those platforms and shadow banned. It is worth noting here that Dorsey has an established record of lying to Twitter users about the social media outlet’s censorship practices. In the lead-up to the 2016 election, Twitter CEO Jack Dorsey was asked point-blank if Twitter was obstructing the #DNCLeaks from trending, a hashtag people were using to build awareness of the DNC emails which had just been published by WikiLeaks, and Dorsey flatly denied it. More than a year later, we learnedfrom a prepared testimony before the Senate Subcommittee on Crime and Terrorism by Twitter’s acting general counsel Sean J. Edgett that this was completely false and Twitter had indeed been doing exactly that to protect the interests of US political structures by sheltering the public from information allegedly gathered by Russian hackers. And indeed, @wikileaks, @assangedefence, @wltaskforce, and @assangelegal are as of this writing so aggressively shadow banned that an advanced search for tweets by those accounts turns up not one single post by any of them. Even if Twitter does end up restoring access to all or some of these accounts, the fact that the site would shut them down at all is deeply disturbing. A massive Silicon Valley giant’s willingness to operate as an extension of the national security state to an even limited extent does not say good things about the future of free information access. So in answer to Hrafnsson’s question “Should we be worried in these critical times?”, I think the answer is yes. Twitter has already actively helped shrink WikiLeaks’ voice and facilitated fake accounts and disinformation by refusing to verify the account of Julian Assange back when he had unrestricted internet access, and it appears to now be censoring the entire organization. At a time when the Trump administration is known to be pursuing Assange’s arrest, at a time when the now-Secretary of State has waged a war on WikiLeaks, at a time when narrative control has become a primary focus of the ruling power establishment as the US and its allies hurtle toward a military confrontation with Russia and/or China, yes, we should be worried. Very worried indeed.